Relationships can be difficult. Put too many strong personalities together in an enclosed space and it can mean fireworks. "In House 9, Tai Tan is very fond of Juniper. Unfortunately for her, Juniper prefers to play with Katie. "Whenever Katie approaches Juniper, Tai Tan gets possessive; she immediately starts growling and chases Katie away. The problem with Tai Tan's dominant display is that she has mobility issues so can't run very fast. Tai Tan never has any chance of catching Katie. The nice thing is that Katie always stops to wait for Tai Tan. Once she's has caught up, Katie will start running again." He adds, "Perhaps she's so indulging because she knows the game won't last for long. After two or three rounds, poor Tai Tan is too tired to run anymore." It may only be jealousy, but there is something about seeing bears exhibit similar emotions and behaviors to us that solidifies our resolve to see bear bile farming become a thing of the past. Tai Tan, Katie and Juniper were all rescued from China's bear bile industry. Unfortunately a great many more moon and sun bears aren't so lucky. 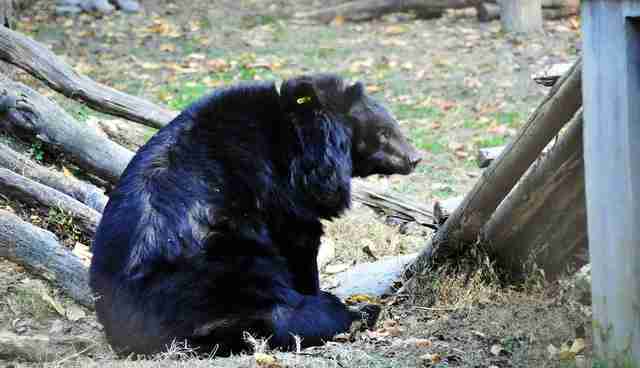 More than 12,000 bears are believed to remain on bear bile farms around the country. The animals are kept in horrifying conditions suffering regular bile extraction for use in traditional medicine. The bile, which is stored in the gallbladder, is collected by means of various extraction methods, all of which cause massive infections in the bears. Most farmed bears are starved, dehydrated and suffering from multiple diseases and malignant tumors that not only contaminate their bile but ultimately kill them. Very few receive appropriate medication or any type of veterinary care. 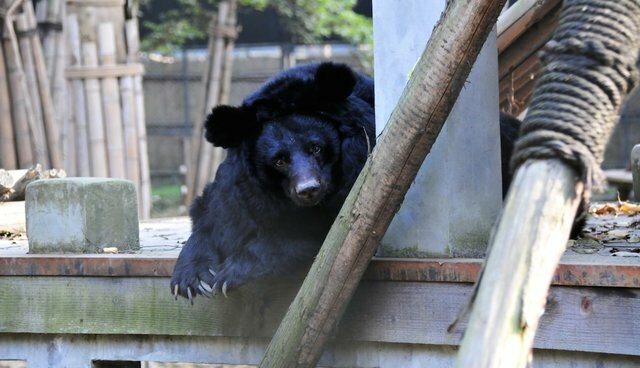 Thankfully, for Tai Tan, Katie and Juniper, the story has a nicer ending as the three live out their days in the peace and freedom of Animals Asia's Chengdu Bear Rescue Centre. It's the least they deserve. 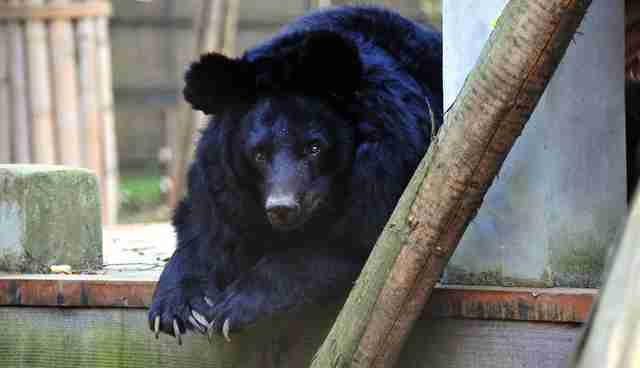 Hope you all have a great #moonbearmonday and a fantastic week.